I found this recipe on Pinterest. It can be found here. I loved that this recipe because it has so few ingredients. It was also very easy to make. I really enjoyed the way this chicken tasted. I used boneless skinless chicken breasts. Place the pieces of chicken on the baking sheet. Sprinkle the chicken with pepper. Pour the sauce over the chicken. Make sure that you have coated the chicken well. Bake uncovered for one hour to one hour and 15 minutes. 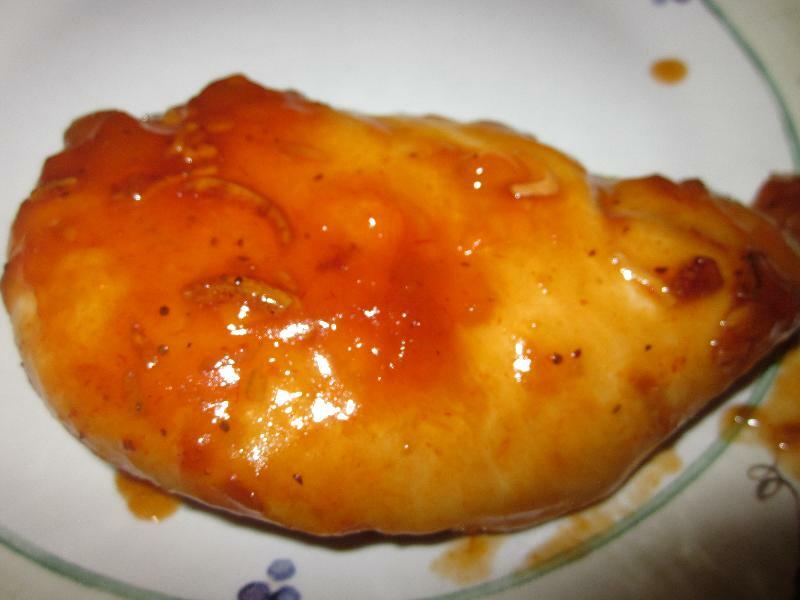 (For the chicken breasts, I cooked them for 30 minutes) Baste several times while baking. anonymous : I loved this recipe!